The friendliest art fair in Michigan, the 52nd Annual Flint Art Fair is a juried FINE ART and FINE CRAFT fair held on the lawn of the Flint Institute of Arts in the heart of the beautiful Flint Cultural Center. All artists and fine craft persons are invited to apply. Up to one hundred seventy five artists will be invited to participate in this two-day event. As an invited artist you will enjoy one of the most exciting and hospitable festival locations anywhere. And, as we make a special effort to connect patrons with our artists, we require that all artists, regardless of weather, be present each day of the fair. Hours are 10 am to 6 pm on Saturday and 11 am to 5 pm on Sunday. Spaces are a grassy 10' x 10' with storage space behind each booth. Rental is a modest $250 per space; double spaces and corner spaces may be requested (additional fees) for the display of your work. We provide easy check-in and checkout procedures with drive-up access to your booth for set-up and breakdown. Parking is free and we have 24-hour security during the fair. At the Flint Art Fair we strive to treat the artists right. Donuts and coffee are available Saturday and Sunday mornings in the Artist Hospitality area. The artists are judged on Saturday and awards are made to 1st, 2nd & 3rd place winners plus 3 Honorable mention certificates are awarded. Winners will be announced over the loud speaker throughout the fair and 1st - 3rd place recieve a free booth and automatic acceptance the following year. Our Hospitality team of experienced volunteers will be pleased to watch your display area to allow for short breaks. Complimentary bottled water is available to artists at any time during the fair. Before applying please make sure you work meets the following criteria. 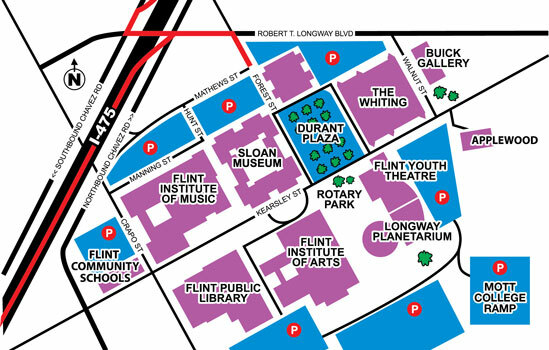 By applying you agree to abide by the rules, policies and decisions of the Flint Art Fair. Participating artist's booth will be visited periodically throughout the fair by the Jury Group to ensure compliance with the rules. Artists will be required to remove all work that is not in compliance. Persistent and/or major violation of the rules may result in expulsion from the fair and ineligibility for future fairs. 1. All work must be original, handcrafted work. One of a kind work is encouraged. 2. No commercial reproductions or embellished commercial products are allowed. 3. If you produce work in editions, you must disclose edition numbers to the Fair audience. 4. Artists must be present with their work for the entire two days of the Fair. All artists must check in with the Exhibition Committee at Registration upon arrival. Photo ID is required. 5. Artists must prominently display Artist Statement, with the artist's picture, describing how and by whom the work is made and materials used to make the work. 7. Artists must be at least 18 years of age. 8. Artists may only show work in categories approved by the Jury. All work exhibited must be of the quality and type of that shown in the images juried. DUE TO THE INCREASE OF ARTISTS CREATING JEWELRY WE ASK THAT IF YOU INTEND TO SHOW MORE THAN ONE DISCIPLINE OF ART AT YOUR BOOTH I.E. CERAMICS AND JEWELRY, YOU MUST APPLY IN BOTH CATEGORIES.